I'd rather not add another story about moving to New York to the internet archives, but living here presents its obvious (albeit self-inflicted) challenges. Aside from the acute physical and emotional claustrophobia that can only come from living inside a 10-by-10 shoebox with all of your belongings (which I regrettably did for two years in the East Village), I'd wager that high-end home décor is pretty low on any 20-something New Yorker's list of financial priorities. My budget, for example, allows for Amazon throw pillows and Urban Outfitters bookshelves, and save for a few pieces of furniture that I've deemed versatile and practical enough to justify the steeper price tag, that's what my space contains. Despite what my job may imply, I approach décor as more of a luxury rather than a necessity. I'll spring for a new rug or a piece of art if and only if I have a few extra dollars to spend that month, and even then, each new item has to go through a strict vetting process (i.e., me agonizing over whether or not it's actually worth the money). As a result, each and every piece of furniture, plant, or knickknack in my rental room in Bushwick, Brooklyn, was acquired after careful consideration and serves a dual purpose. I'm in my fifth apartment in four years of living in the city, but I'm pleased to report that I finally inhabit something that resembles a respectable living space. It has tall ceilings, a large closet, two windows, and, at roughly 200 square feet, it feels luxuriously large to me. Though I still consider it a work in progress, I'm proud of the small sanctuary I've managed to create amid the chaos of the city. Step inside my Brooklyn rental room below, and read up on how I carefully selected each piece for the space (and my budget). I landed on the bench after weeks of searching for some sort of storage piece that would serve as a home for the extra books and magazines spilling out of my closet, but wouldn't take up an entire wall and inevitably invite pointless clutter. I also didn't want a piece that required the purchase of even more decorative knickknacks to sit on top of it, ruling out any sort of shelving unit, media console, or desk. The bench was probably the most low-maintenance purchase I could have opted for—I set it up myself within 10 minutes, put a throw blanket on it, and that was that. It's definitely more of an investment piece, but I see it working perfectly in an entryway or living room area when I have a bigger space of my own. 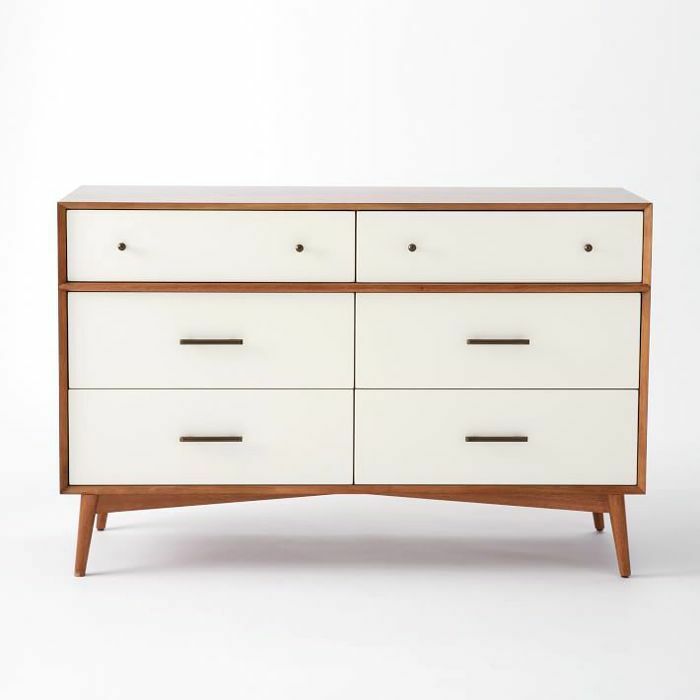 I definitely see this West Elm dresser as the crowning jewel of my room. I had my eye on it for legitimately three years before pulling the trigger, and love the way it looks in my space. Though I debated between the white and acorn and the solid acorn at first, I think the white face eases the stark contrast between the dark wood and the bright white wall perfectly. Despite measuring a relatively sleek 60 inches wide, 36 inches high, and 18 inches deep, the dresser holds a lot. I packed five of the drawers to the brim with clothes and reserved the upper right drawer for hair tools, skincare products, and other miscellaneous items that don't look good on display. Most importantly, I see myself using this dresser for years to come, whether I live in a small rental room in Brooklyn or a spacious home of my own. While again, I don't necessarily consider the below price tag budget-friendly, I view this piece as a long-term investment. As far as the décor goes, I kept things as affordable and simple as possible. I spent around $25 on the jewelry organizer, chose a selection of similarly colored books from my existing archive to place underneath the mirror, and acquired the marble slab and two candles through work. I bought the antique-inspired mirror from Kirkland before I even moved to New York ( I think it was around $65 at the time), and found the vintage rug on Etsy for just over $100 when I moved into my first apartment (hence the small size). I replenish the monstera leaf as needed for $5 at a time (they typically last a little over a month), and I honestly can't even remember when or where I acquired the vase. Minted has become my go-to for artwork. 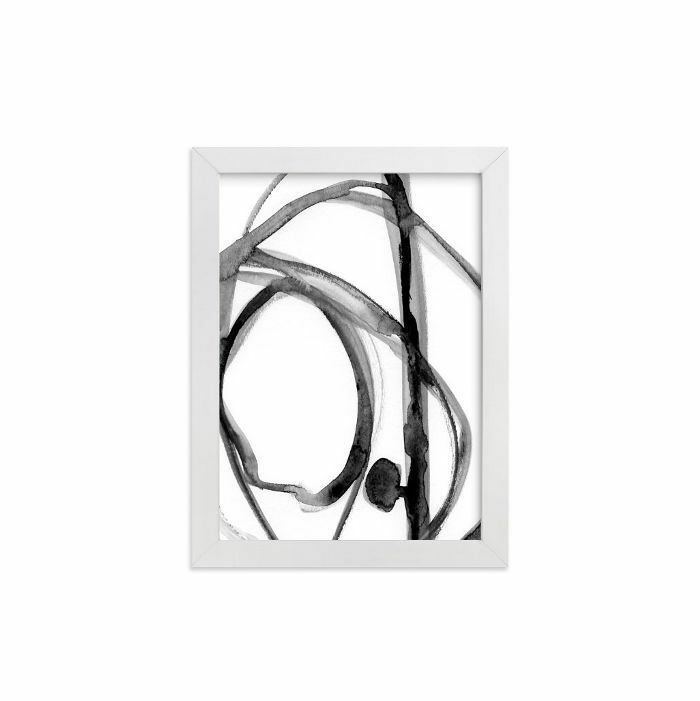 I purchased this small print from artist Mary Gaspar a few months back. While I probably could have used a larger size, I forgot to measure the wall space above my dresser and went with the five-by-seven-inch size because it was cheaper. Lesson learned. It's important to note that I accumulated the above objects over the course of four-plus years and rearranged them accordingly when it came time for the photo shoot. In my experience, one of the biggest mistakes you can make when decorating is to rush the process—you'll end up spending too much money on stuff you don't even end up using (the stack of decorative knickknacks under my bed can attest to that fact). I'm a sucker for any white-walled plant-filled room, so the purchase of this large bird of paradise plant from Other Times Vintage in Bushwick was inevitable. Though it wasn't exactly cheap, I gladly handed over my credit card and carried it home like a small child after spotting it in the display window. I personally see greenery as one of the easiest, most aesthetically pleasing décor hacks for small-space, big-city living. Plants breathe a bit of life into an otherwise cramped space, in addition to adding a touch of natural coloring. Considering the egregious lack of greenery in my everyday life (even in the middle of summer), this floor plant was worth every penny. Bird of paradise plants are super easy to care for if you're looking to make the investment yourself. I also have a philodendron hanging in the left window (a notoriously low-maintenance indoor plant), a few succulents that I repeatedly overwater without fail, and the aforementioned monstera leaf on my dresser. I agonized over how to fill up this large blank wall, but am happy that I opted for West Elm's simple metal-framed floor mirror in brass. To interior designer Jeremiah Brent's original point, floor mirrors can make a small room feel double the size. "Not only does [a floor mirror] create the illusion of a larger space, but it also reflects light to brighten up the room even more," he told MyDomaine during former senior editor Sophie Miura's apartment renovation. "A mirror maximizes a room's space and light, but it also doubles whatever is in the room," he explains. 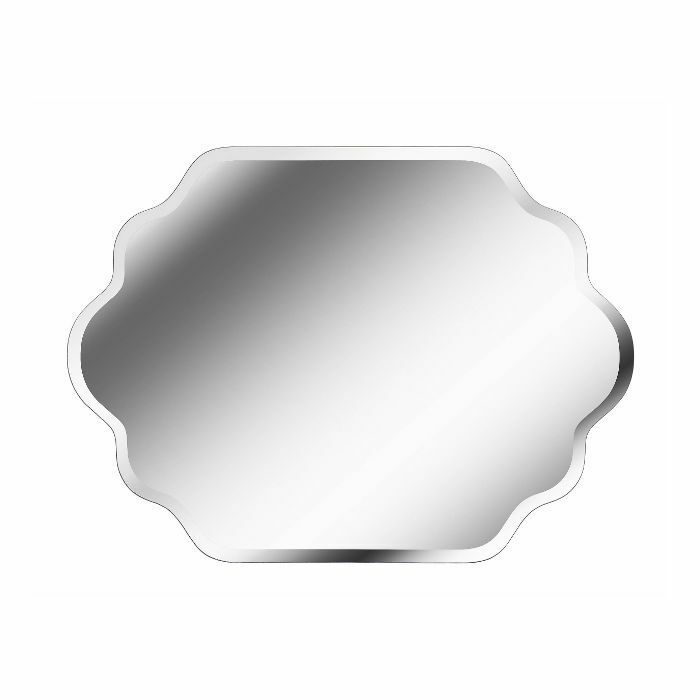 "You always want the mirror to reflect a clean, beautiful space, so keep it minimal. A large statement mirror is already a focal point of a room, so focus on decorating a different area to avoid unnecessary clutter." Coupled with the Rivet lamp, the Article bench to the right, and the closet to the left, this space serves as a kind of informal getting-ready area that I gladly spend too much time in every morning. I'm currently on the hunt for a large, affordable, and preferably vintage rug to go in front of the mirror (a tall order, I know) but have yet to find the perfect fit. As for the lamp, I'm incredibly impressed with the quality of Amazon's in-house home line, Rivet. 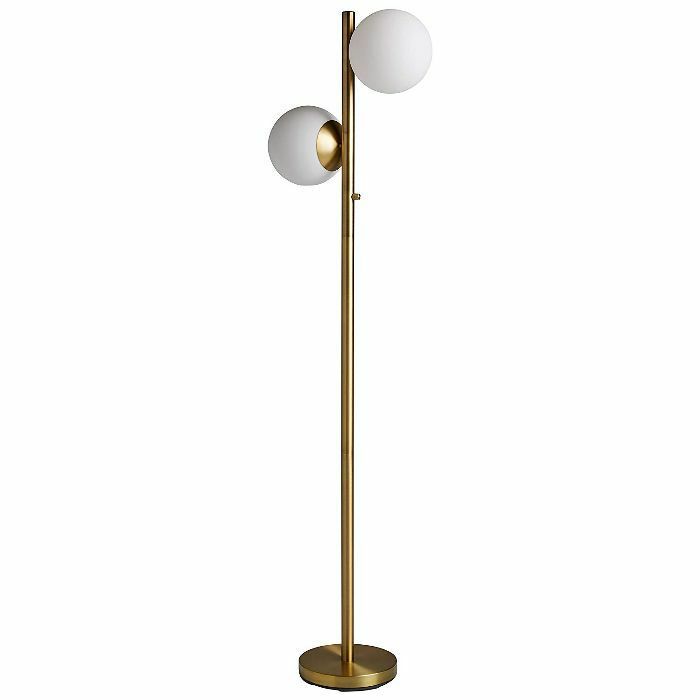 Both this retro two-orb floor lamp and the brand's angled metal table lamp are great quality for the price. This floor lamp was only $129 and took 10 minutes to assemble. I'll admit that far more of my time, money, and effort goes into my wardrobe (especially my vintage clothing collection) than my apartment. 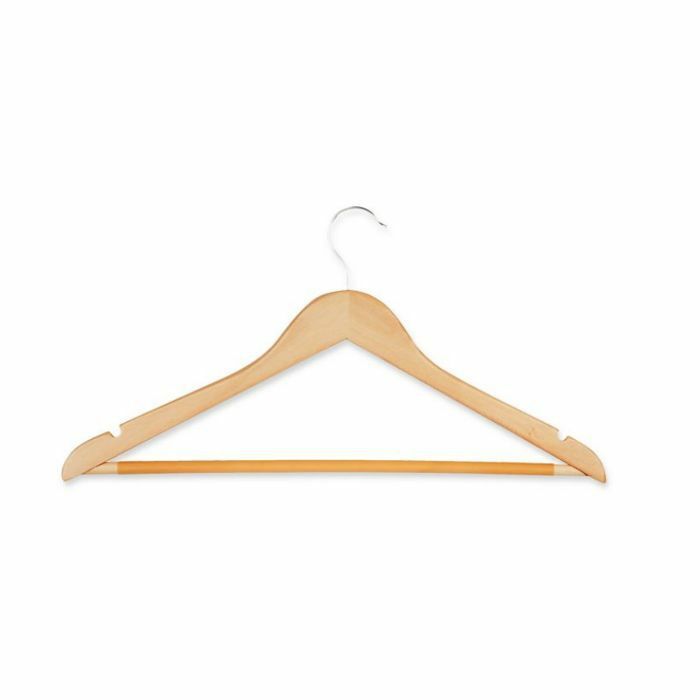 While it goes without saying that my closet doesn't normally look this neat (a half-off bin on Black Friday would be a more accurate visual), I do love the slightly polished look of matching wooden hangers. It's an inexpensive and simplistic way to restore order to an otherwise chaotic closet. I got a 28-pack at Bed Bath & Beyond (with a coupon, of course). Plus, it was extremely satisfying to discard all of the broken, mismatched metal hangers from various dry cleaners. This is probably my second-favorite corner of my bedroom and definitely where I spend the most time—my linen bedding from Parachute is too cozy to resist. I've experimented with a few different throw pillows in the last year or so but love the touch of texture these Stone & Beam lumbar pillows from Amazon add to an otherwise minimalist bed. 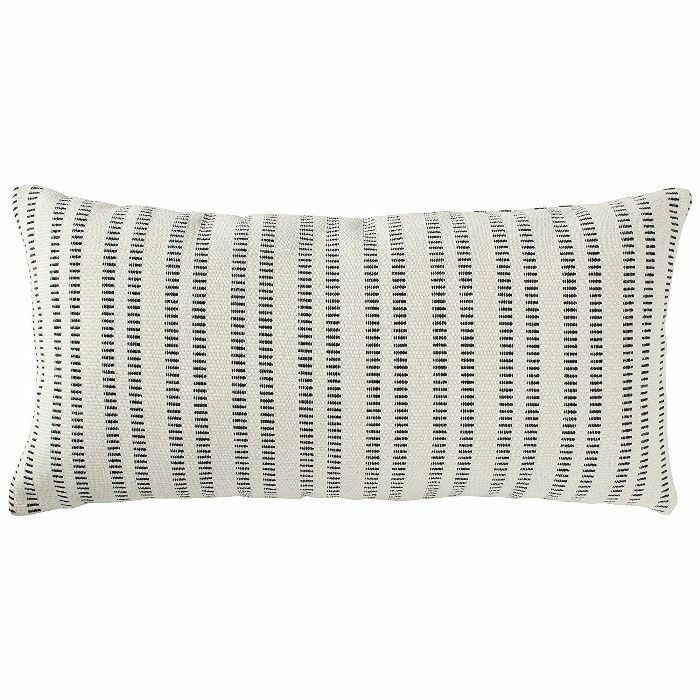 You get the cover and expandable pillow insert for just $40, and the fabric is surprisingly plush and durable. This corner is also evidence of my penchant for repurposing books as décor—I think it's a great way to save money, show a bit of your personality, and add a touch of color to a blank wall or simple piece of furniture. The two wall stacks are perched on Urban Outfitters' best-selling invisible book wall shelves, which I scored for just $24 during a summer sale and hung up myself. The curved terrace nightstand from West Elm was also a summer sale purchase—I got it for just $197 with shipping and delivery included. 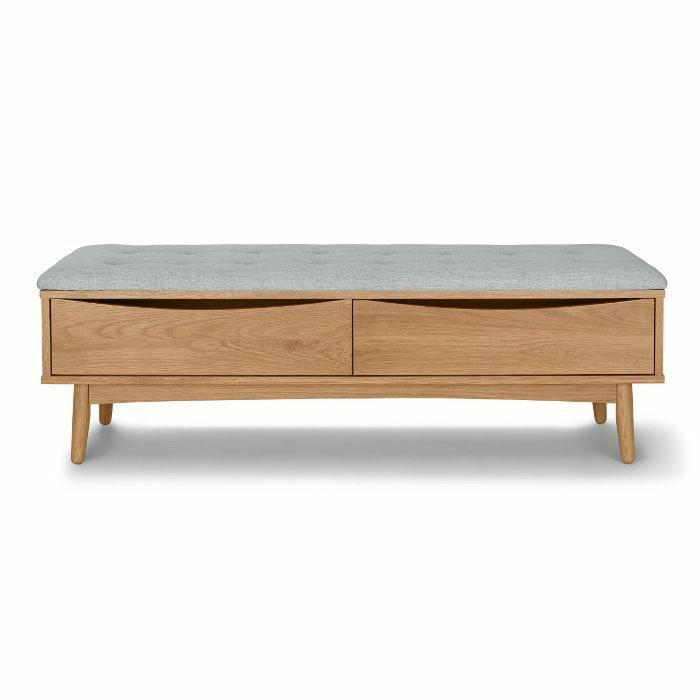 I love how it's a slightly different style than my dresser and storage bench, though it still has a midcentury modern silhouette. The glass and antique brass finished metal give it a decidedly sleeker look. Plus, it's literally the cheapest nightstand on the entire West Elm site. 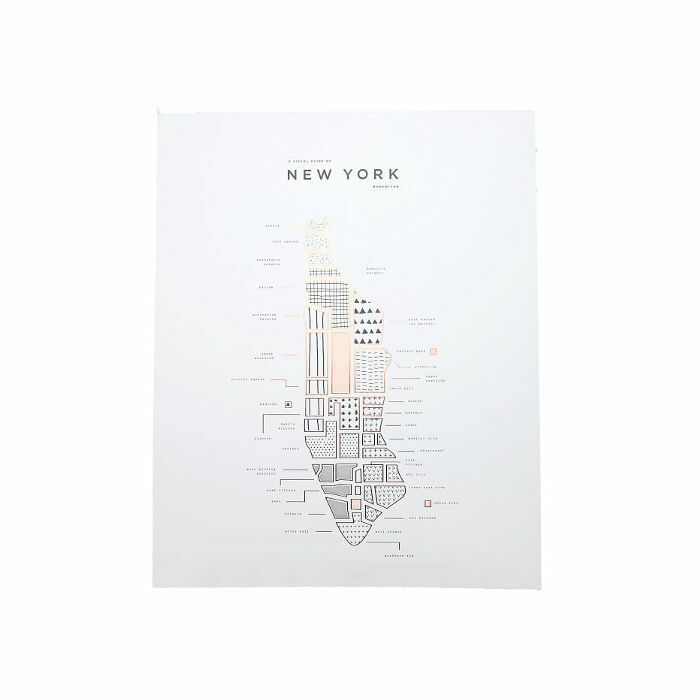 As if my love for West Elm wasn't obvious enough, I also got this New York City print from one of the retailer's local artisan partners, 42 Pressed. Though West Elm only carries these city map prints, Charleston, South Carolina–based artist and 42 Pressed founder Jackie Robinson also makes bespoke candles, stationery, and travel prints. I was originally inspired by David Ehrenstråhle's series of travel guides called My Guide To, which I found on Pinterest. Unfortunately, the $215 price tag (plus international shipping from Sweden) scared me away. After a quick Google search, I managed to find a similar look for a fraction of the price. West Elm, Minted, Society6, Etsy, and even Instagram are goldmines for affordable art. Consider all of your options before swiping your credit card. My rental room is far from perfect, but it's my home (for the foreseeable future, at least). While there are countless things I'd change given a bigger budget, learning how to decorate on the cheap is, in my opinion, priceless. Next up, see how our social media editor Kelly Gallagher transformed her Williamsburg, Brooklyn apartment, and subscribe to our newsletter for more décor inspiration.